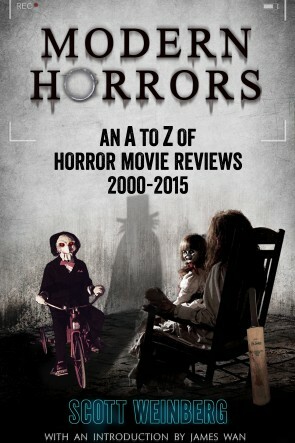 I’m not sure why, exactly, but I think it’s because their indie films often exhibit some true effort and novelty; because they’re a cool and colorful people who don’t take themselves too seriously; and because a lot of them really seem to love a good horror flick. 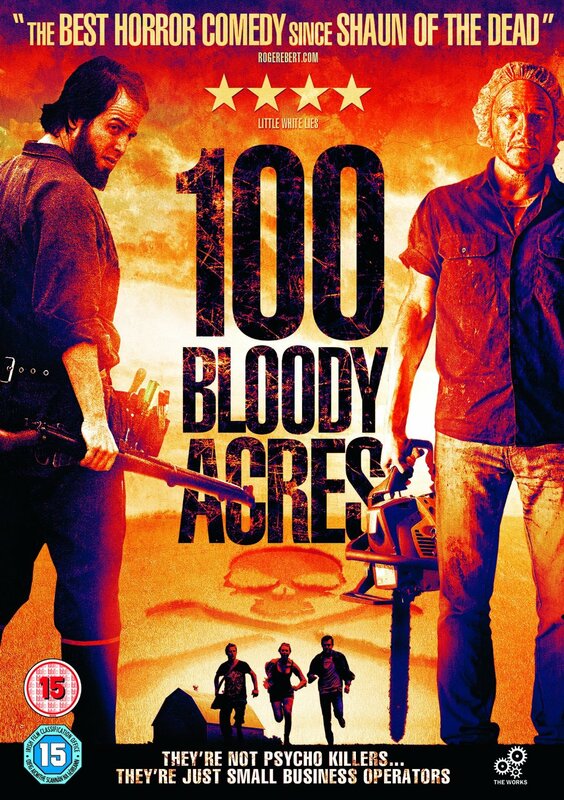 The Aussie import known as 100 Bloody Acres is most assuredly a comedy first and a horror film second, but kudos to Colin and Cameron Cairnes for maintaining a strong balance of gross humor and shocking violence. Our plot focuses on a pair of wildly disparate brothers (one’s sort of twitchy; the other is a hulking brute) who run a very unique organic fertilizer business. The small, dopey brother (Damon Herriman) comes across a horrible car crash, and (like an idiot) decides to steal all of the corpses. You know, to turn into organic fertilizer. But before Reg can make it back home, he comes across (you guessed it) three obnoxious young adults who are on their way to a music festival. Against his better judgment, Reg (like an idiot) offers the trio a ride, but when they stop off to meet Reg’s big brother Lindsay (Angus Sampson), well, that’s when all hell breaks loose. What’s most amusing about 100 Bloody Acres is that neither of the villains actually want to be killers. Dopey Reg and the perpetually infuriated Lindsay just want to get their organic fertilizer to their waiting customers, and it’s not their fault that a bunch of fresh corpses and a trio of obnoxious wankers keep causing so much trouble. In other words, the screenplay for 100 Bloody Acres is pure comedy of errors material that’s delivered in a broad and very bloody fashion. There’s a palpable sense of character and energy to the film, and it certainly doesn’t hurt that Herriman and Sampson are fantastic comedic actors separately, and they’re even better when onscreen together. Leading lady Anna McGahan is also a lot of fun, and not just because she’s beautiful; Jamie Kristian earns a few laughs as a potential victim who can’t seem to shake his LSD trip; and even the Aussie screen legend John Jarratt pops during one of the flick’s more vicious plot twists. Clearly made with a tight budget, but more than clever and creative enough to warrant 90 minutes of valuable horror geek time, 100 Bloody Acres is beautifully shot, surprisingly funny, and (yes) pretty adorably gruesome when it wants to be. 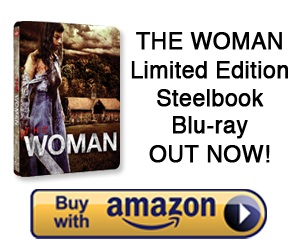 Frankly speaking, this flick capably represents almost everything I admire about indie Aussie genre films. I expect to see more from these filmmakers soon.